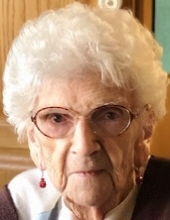 Cecelia J. Jones of Plymouth, died March 25, 2019. She was 95 years old. Cecelia was born in Windsor, Ontario on July 31, 1923 to Richard and Rose Knight. Cecelia was the beloved wife of the late James Jones who died in 1989. She is survived by her 6 loving children Robert Jones, Patrick (Debra) Jones, Dennis (Deborah) Jones, Timothy (Laura) Jones, Christopher Jones, and Andrew (Laura) Jones, her 12 precious grandchildren, her 9 cherished great-grandchildren, and her dear sister Anne (Larry) Schutzler. Cecelia was an amazing person who was spiritual and loved her faith. She loved and was very proud of her boys. Her activities included reading a good book, challenging crossword puzzles, and golf. She lived at Tonquish Manor for many years and enjoyed the company of her friends. Visitation will be Sunday, March 31, from 2-8pm at the Schrader-Howell Funeral Home, 280 S. Main St., Plymouth, 48170. There will be a Rosary Service at 7pm. Her Funeral Mass will be celebrated Monday, April 1, at 11am at St. John Neumann Catholic Church, 44800 Warren Road, Canton, 48187. Family and friends may begin visiting the church at 10:30am. In lieu of flowers, memorial donations may be made to the Christian Appalachian Project, P.O. Box 55911, Lexington, KY 40555-5911. "Email Address" would like to share the life celebration of Cecelia J. Jones. Click on the "link" to go to share a favorite memory or leave a condolence message for the family.